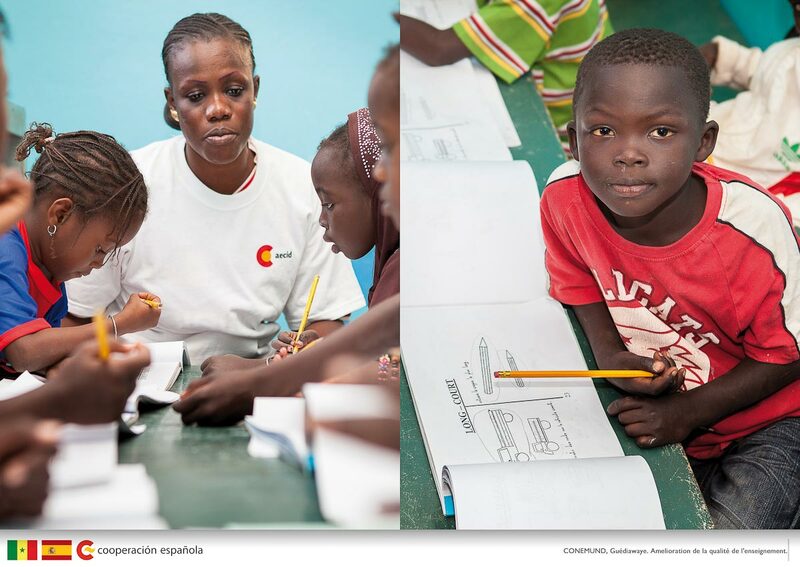 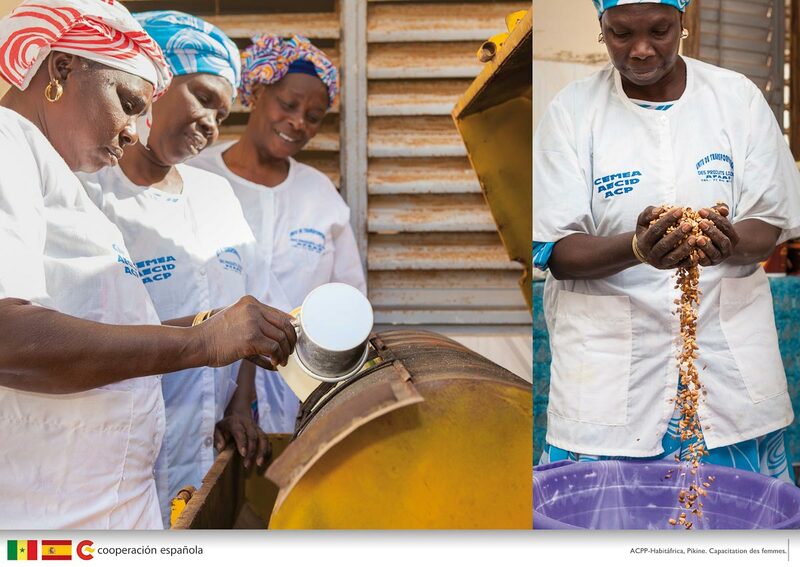 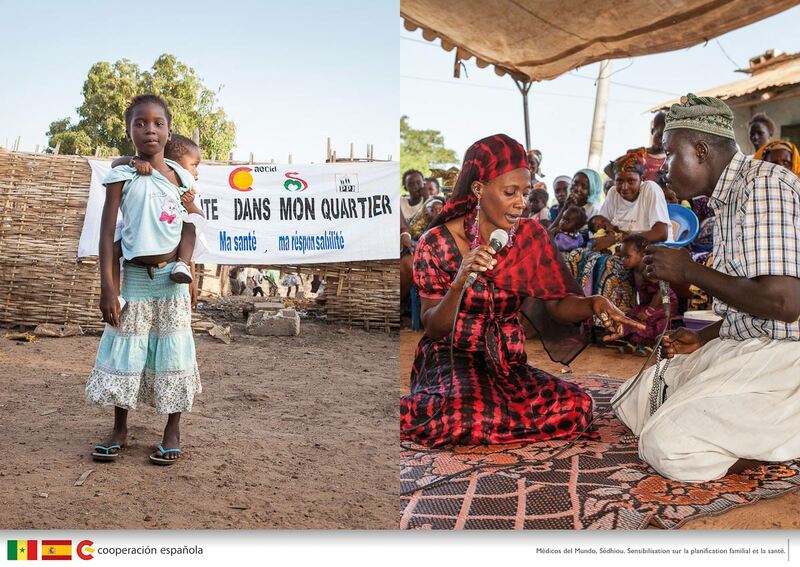 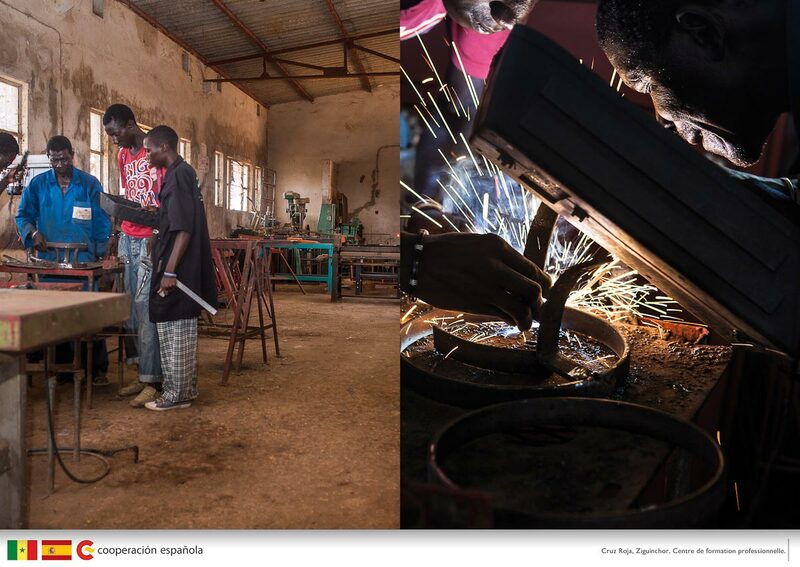 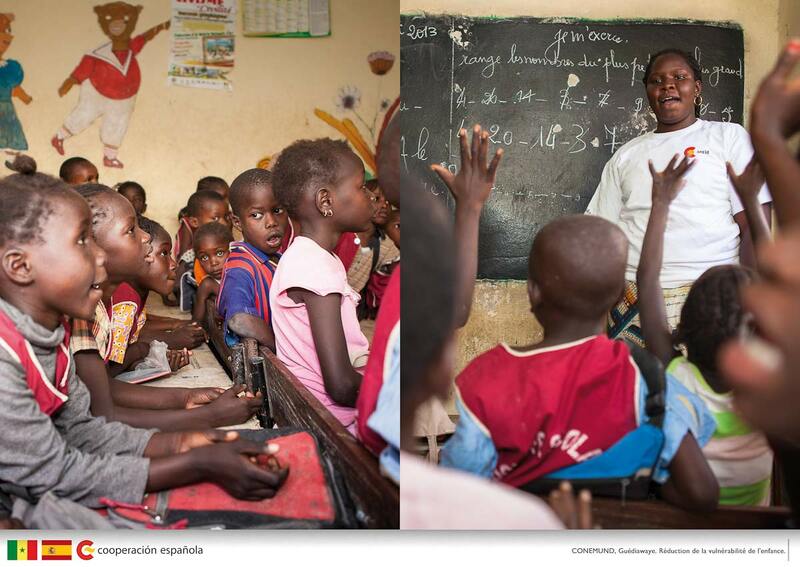 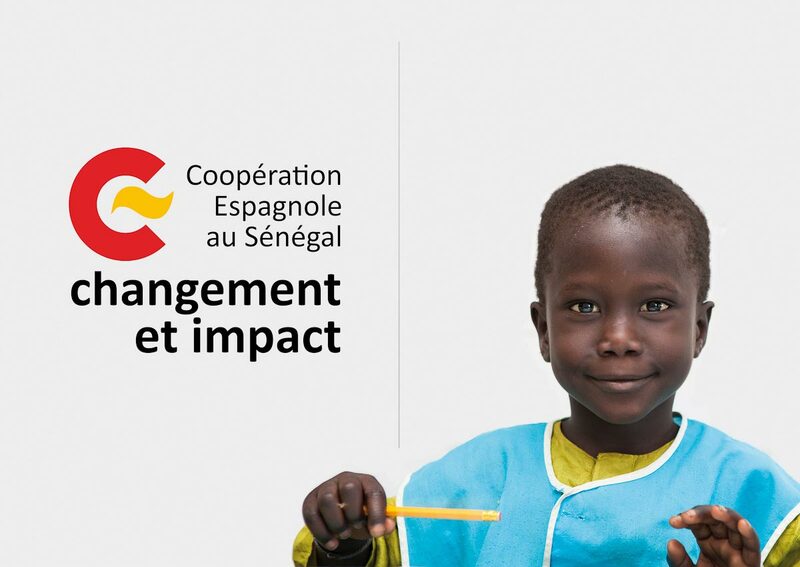 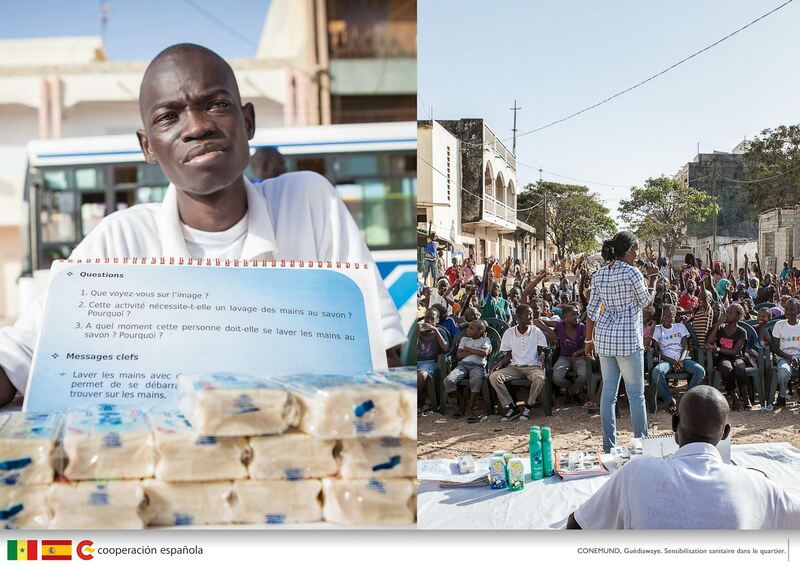 Coopération espagnole: changement et impact (spanish cooperation: change and impact) is the title the Embassy of Spain in Dakar together with AECID have chosen for a series of three exhibitions to celebrate the 25th anniversary of the Spanish cooperation. 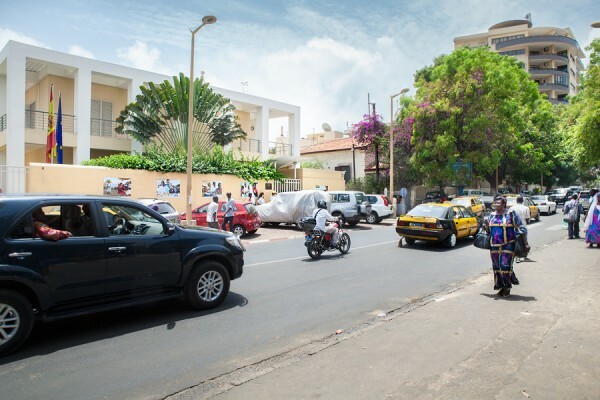 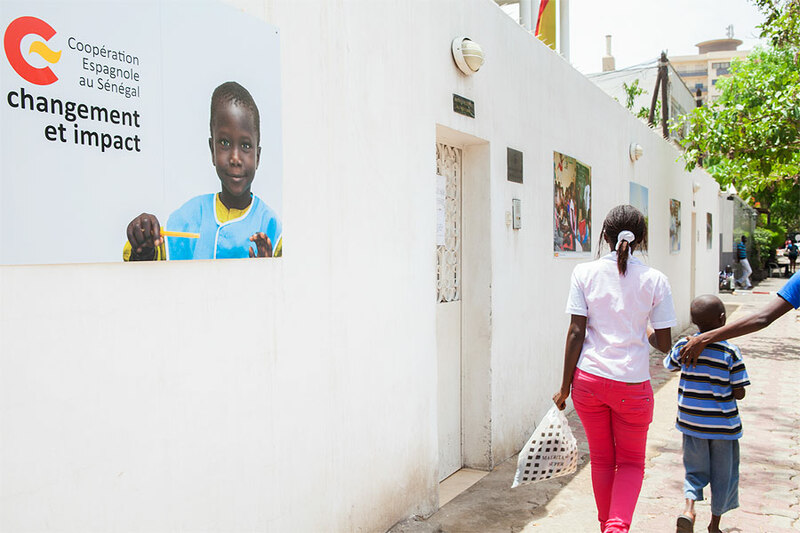 Each exhibition is comprised of ten photographs displayed on the walls of the embassy and consulate of Spain in Dakar, located in a quiet street with a large flow of pedestrians. 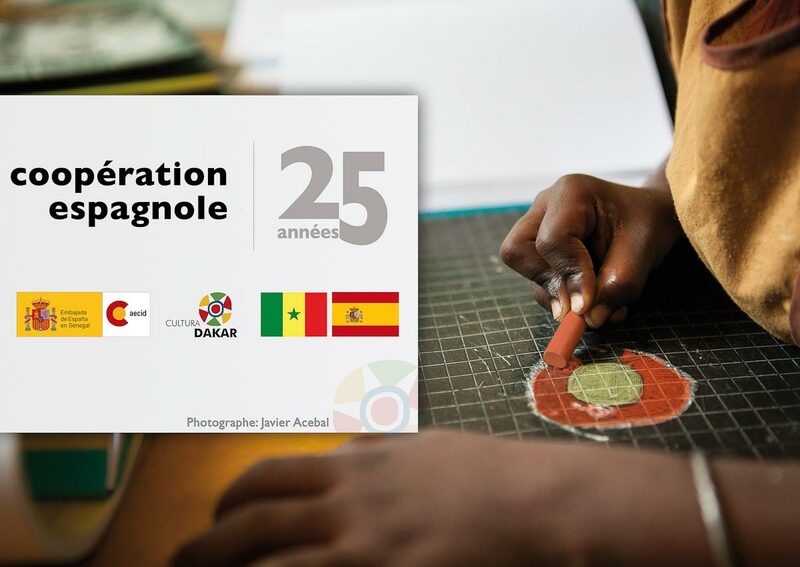 The first exhibition will be on display in June and July (will be removed due to the rainy season) and will return with a second exhibition in November when the 25th anniversary meeting will take place. 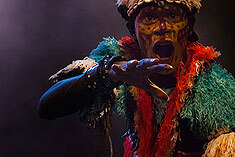 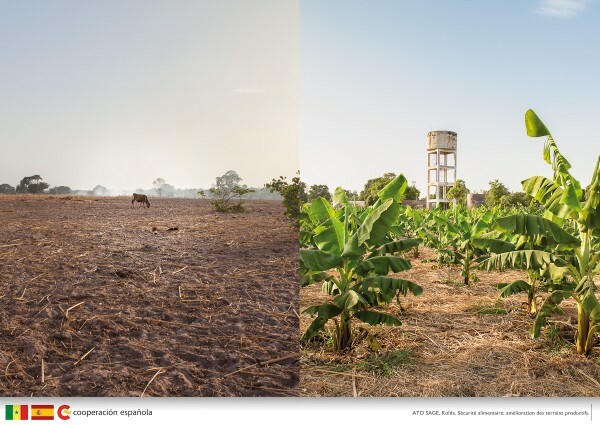 I have taken the photographs in two important areas for the Spanish cooperation: the suburbs of Dakar and the Casamance region. 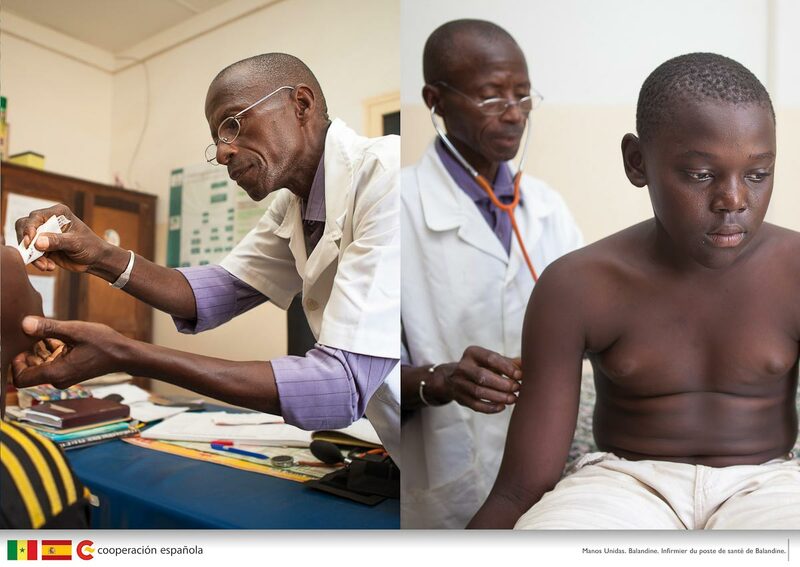 The photographs on display consist of two images, many of the same scene from two different perspectives (teacher-student, doctor-patient…) or two similar spaces showing the “before and after” change (see picture above), providing a duality that helps the viewer understand the scene and at the same time, provides action and movement, or put another way, cause and effect that reinforces the idea of change and the impact that has landed the job of Spanish cooperation in Dakar. 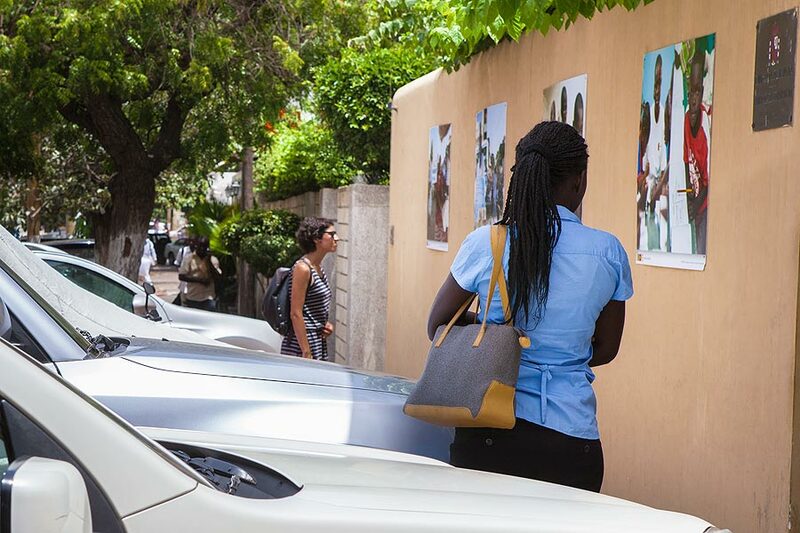 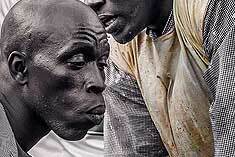 The photos below belong to the first exhibit on June-July.